architecture and the former home of the royal family. To get off the streets and catch your breath, flag down one of the ubiquitous (and usually overpriced) tuk-tuks or hop on the Skytrain or underground MRT. Take a canal boat (or dinner cruise) to see the softer side of the in-your-face city. After dark, the Silom district hosts some of the world’s most notorious after-hours activities, but if ping pong shows aren't your style then try an evening with drinks on a rooftop high-rise bar like Skybar or catching a band or performance. Or, considering you are in Thailand, go out to eat. From international fusion at five-star hotels to street food (deep-fried insects are a delicacy), eating is Bangkok's favorite pastime. Shopping is second on the list of favorite pastimes, and you'll be spoiled for choice. If you're in Bangkok on a weekend, don't miss Chatuchak Market, one of the largest markets anywhere, period. plenty of blue skies between November and April, although be prepared to be one among many tourists during this time. Thailand is a pretty affordable destination, so getting slightly cheaper hotel rates (and fewer crowds) in exchange for unpredictable weather -- which includes street-flooding monsoons -- from May through October is probably not worth it for many. 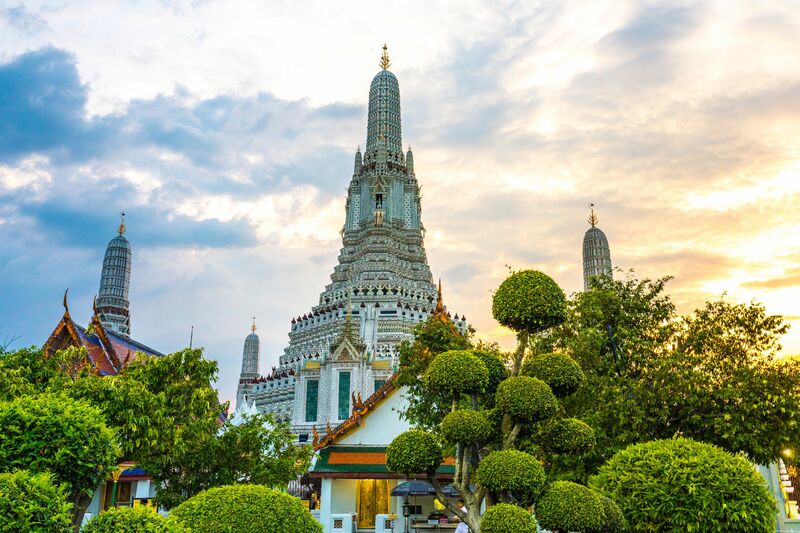 Love or hate it, Bangkok is an epicenter of Southeast Asia and Thai culture that must be experienced! Whether you choose to stay in the backpacker center of Khao San Road or avoid it at all costs, there's plenty to do, see, and soak up in the Thai capital. Great for nightlife, beautiful beaches, exciting food, people...a place for every budget. Bangkok is my all time favourite big city scene. There’s so much to do all the time. You can go anywhere so easily with their transportation options. The culture is like nothing I have ever experienced. The food scene is like nothing I’ve ever experienced. And the city it FULL of attractions, from malls, to historical sites, to temples, to food. The best city of all.